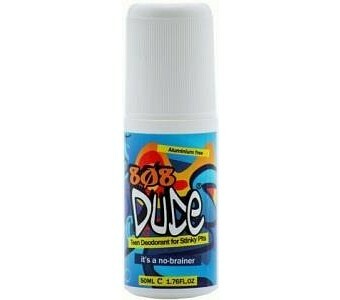 Protect yourself from smelly arm pits with 808 Dude Teen Roll On Deodorant for Stinky Pits. This quick drying deodorant creates a pleasant woody bergamot scent that actually prevents stinky arm pits and leaves you smelling great. 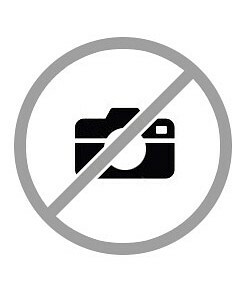 Made with certified organic ingredients Aluminum free Contains essential oils bergamot, petitgrain, mandarin, cypress, geranium, cardamom, and sandalwood for antiseptic effects Zinc gluconate, aloe vera, bergamot, and balsam oils kills bacteria on contact and prevents smelly arm pits Simply apply to both dry underarm areas before and after playing sports or exercising Ingredients: Aqua, Glycerin, Aloe Barbadensis (Aloe Vera) Extract Organic, Zinc Gluconate, Polysorbate 20, Glyceryl Caprylate, Xanthan Gum, Sodium Dihydroacetate, Cedrus Atlantica (Cedarwood) Bark Oil, Citrus Aurantium Bergamia (Bergamot) Oil Organic, Cupressus Sempervirens (Cypress) Oil Organic, Citrus Nobilis (Petitgrain) Leaf Oil Organic, Citrus Nobilis (Mandarin Orange) Oil Organic, Pelargonium Graveolens (Geranium) Oil Organic, Myroxylon Pereirae (Balsam Peru) Oil, Elettaria Cardamom (Cardamom) Seed Oil Organic, Santalum Spicatum (Sandalwood) Oil Organic, Citric Acid, d-Limonene*, Linalool*, Geraniol*, Citronellol* (*Component of Essential Oil).